The middle school is dedicated to continuing the progressive approach to education that students experience in the lower grades. Our focus is on engaging children as active participants in and initiators of their own learning. 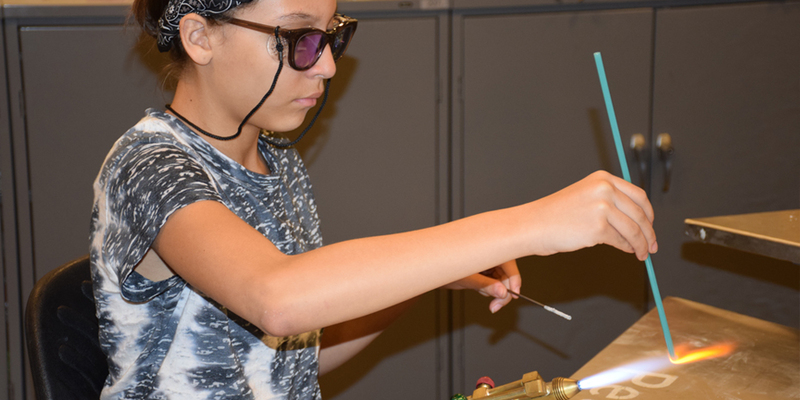 Using a constructivist approach (meaning students work to develop an understanding of a concept through investigation and experimentation), we encourage middle schoolers to investigate real-world problems and develop problem-solving and critical-thinking skills in the process. In all academic areas, students undertake independent and collaborative projects that extend the ideas and topics introduced to them by their teachers, becoming more self-directed as they get older. Students participate in the traditional academic classes such as humanities, math, science, and a foreign language, while having broad exposure to the performing and visual arts. In addition, we offer physical education, technology, and health classes. In terms of extra-curricular activities, students engage in wide-ranging experiences such as community service, internships, mentoring, student government, independent studies, team sports, and travel programs. 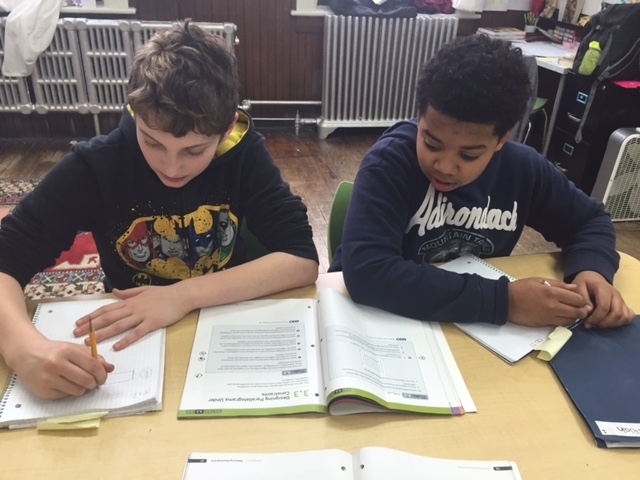 Our curriculum is closely aligned with national standards as well as local New York City school programs, ensuring that our students are prepared for high school when they graduate 8th grade. How does conflict lead to change? How can we solve real-world mathematical problems? How does water shape our world? What are universal themes in literature? Our teachers are as deeply passionate about working with adolescents as they are about their subject matter. They guide students to develop their own ideas about learning, and understand that it is as important to create trusting relationships with the young people under their care as it is to instill in them a love of learning. Our faculty has graduate degrees from Bank Street, Harvard, as well as other well-regarded masters programs. Our small student-teacher ratio allows teachers to collaborate closely — ensuring a well-integrated curriculum and focused attention on individual students’ needs. Each middle school class will have a humanities teacher as their hub as well as teachers of science, Spanish, and math. Students graduating from Greene Hill will be prepared to attend any of the broad range of excellent NYC high schools, both independent and public. Our deep commitment to instilling critical-thinking skills enables our students to think deeply, communicate effectively, and transition to high school smoothly. 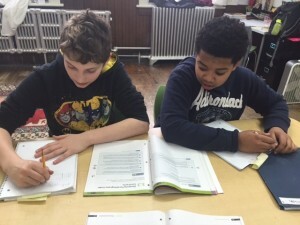 In 7th grade, we offer a formalized high school preparation program so that students are ready to take any necessary standardized tests in 8th grade. Our small size enables us to support families in the high school admissions process and advocate on behalf of our graduates with high school admissions officers. Each student is a member of a small advisory/homeroom group that provides ongoing academic and social support. Advisory groups ensure that all students are connected to one of the adults in the community as well as to their peers. We address the developmental needs of each student by assisting them in being well­organized, comfortable with routine study skills, responsible for their own work, and mature in their social interactions. The advisory group is also a place where we discuss adolescent issues and attend to the needs of the ever­changing social sphere of young adolescents. Greene Hill Middle School is fortunate to be right in the midst of the vibrant Brooklyn arts community. Students are exposed to a wide variety of media and disciplines in the visual and performing arts, including drawing, painting, woodworking, dance, theater, and music. We have partnerships with Urban Glass (Glassworking) and the Brooklyn Music School (vocal and instrument lessons). Greene Hill School is committed to supporting children in self-initiated work from age 4-14. 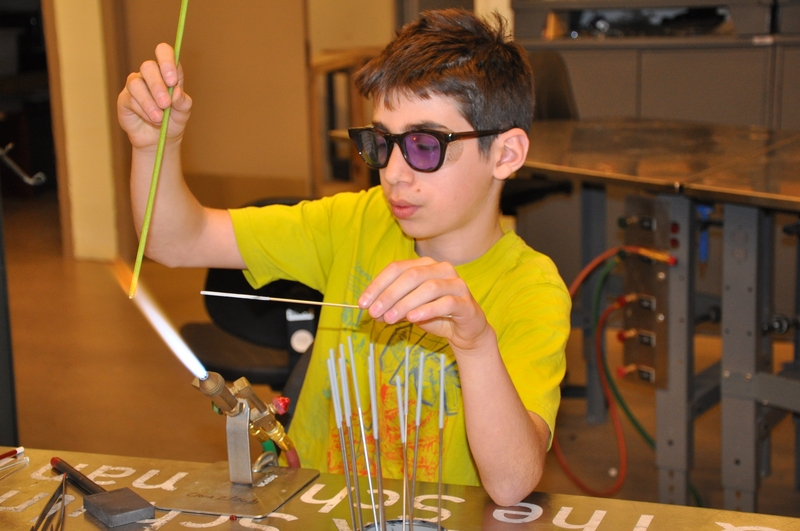 Middle school students will have many opportunities to follow their interests and delve into independent projects throughout the curriculum. Examples may include research projects on non-western civilizations during the middle ages, a retelling of a Shakespeare story in a creative way, or a multimedia presentation on a civil justice issue. Greene Hill is committed to community service as an integral part of its mission. 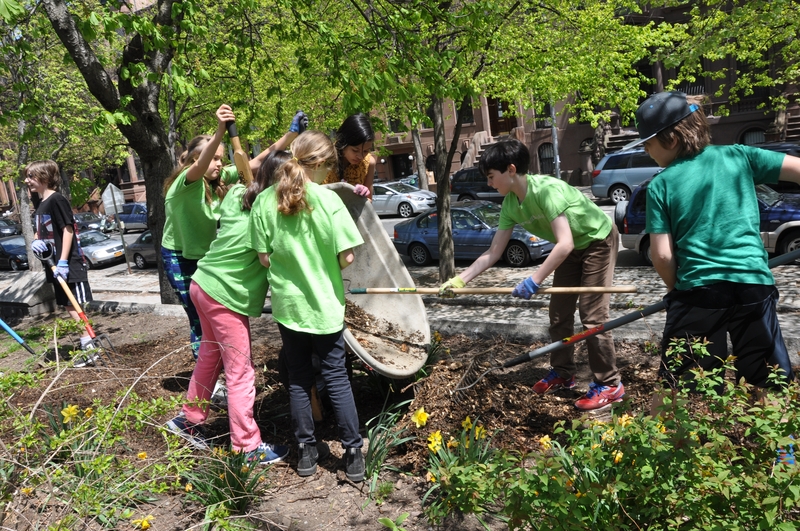 Middle school students are involved in mentoring younger children in the school as well as undertaking projects in the neighborhood and throughout the city. Our 8th grade students embark upon a community service related trip. For more information about Middle School Admissions click here. Download a PDF of the Middle School Brochure.